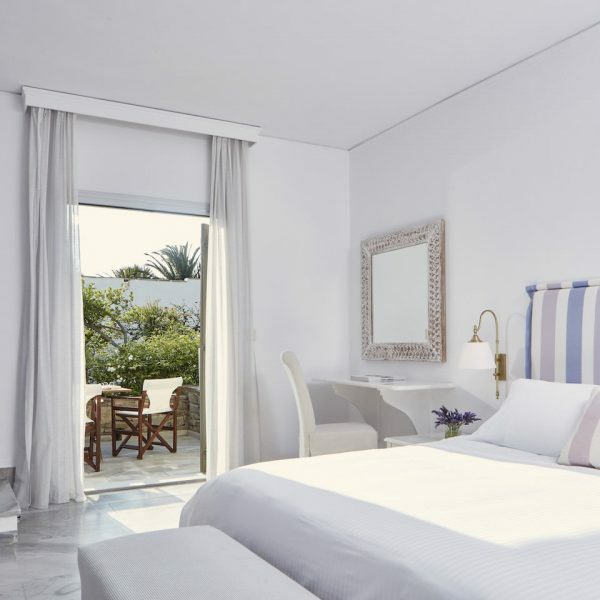 The perfect choice for family holidays in Parasporos bay, Paros the two storey Yria Island Boutique Hotel & Spa Maisonettes feature separate bedrooms on each floor connected by an internal marble staircase. 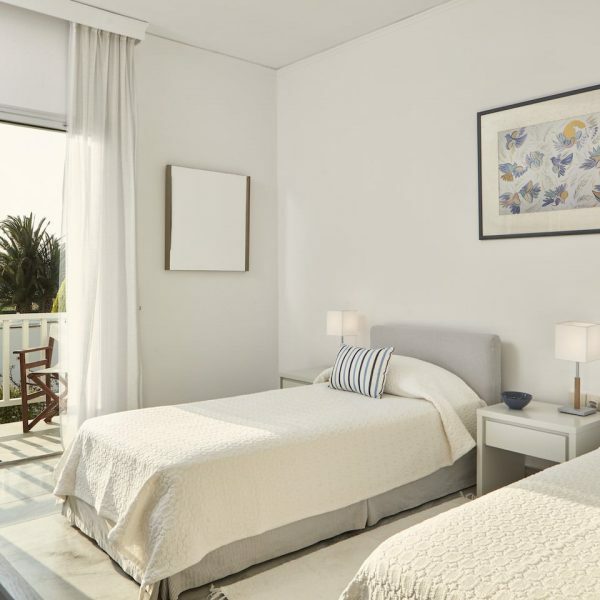 These family maisonettes in Paros are ideal for families, with a dedicated bathroom and veranda for each bedroom as well as an independent exterior entrance door for the first floor bedroom. 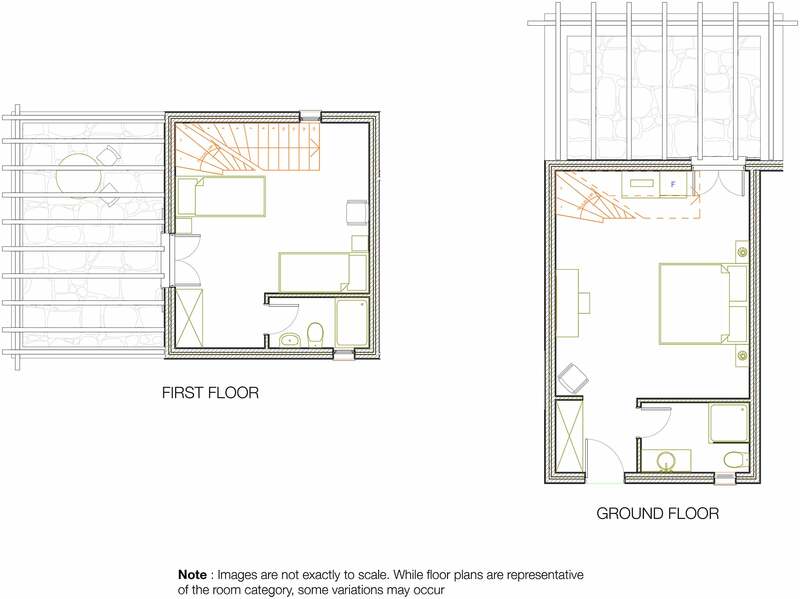 Maisonettes feature a reading chair and writing desk, and the first bedroom has a King Size bed, and the second bedroom twin beds. Each Maisonette also have Wi-Fi internet, Apivita natural toiletries, bathrobes, slippers, DVDs, CDs and books.